Empty P.A.S./R.A.S. Cartridge for Mammut Airbag Systems This canister is just like the full one except you don't have to pay a $30 hazmat fee to have it shipped. It fits both P.A.S. and R.A.S. packs by Mammut. You can also have it shipped as fast as you want, too. 2nd day air, next day, whatever, go crazy and hire someone to carry it directly to you in their checked bag. We won't judge. 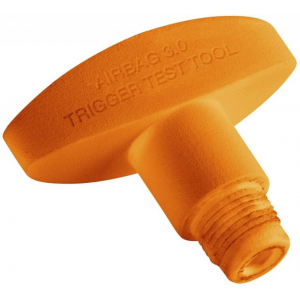 You can have it filled at a paintball shop, dive shop, or your local backcountry ski shop after you receive it. You'll need a part called a "blast washer" before reinstalling it in your backpack. 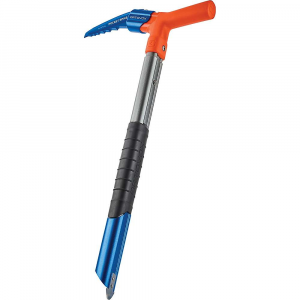 Mammut Avalanche Safety Cartridge Refillable 207 Bar Aluminum (empty) 26100085099991. It can only be used with the new Removable Airbag System R.A.S. The must be refilled after any deployment. 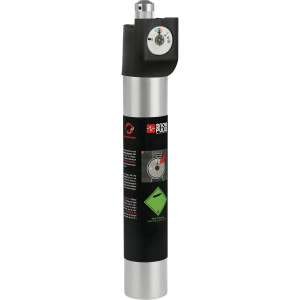 Users can refill empty cartridges themselves using the cartridge refill kit and a compressed air source. 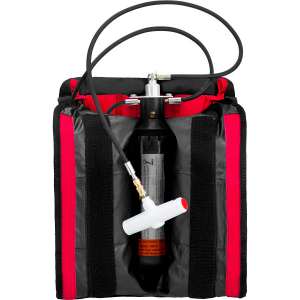 No RAS or PAS safety system is complete without the essential Mammum Airbag System Aluminum Refillable Canister. 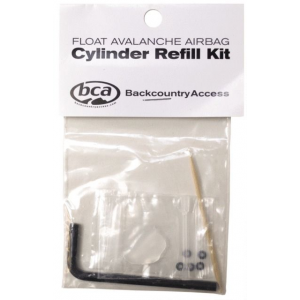 This lightweight canister is used to deploy both the RAS and PAS avalanche safety airbags and can be refilled at any dive r paintball shop. 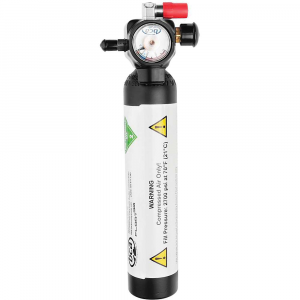 An internal pressure gauge ensures that you don't accidentally pack an empty or underfilled canister. An essential part of the Mammut avalanche airbag system, the Mammut Cartridge Refillable 207 Bar Alu rapidly inflates the airbag in compatible Mammut ABS packs (sold separately) during an avalanche. The Mammut Cartridge Refillable 207 Bar Alu Empty is not available from the stores we monitor. It was last seen March 27, 2019	at Bentgate.com.